Before we get to all the fabulous links, let’s check out what the most clicked link from last week was! It’s time for Think Pink Sundays! 1.Link up NEW tutorials, refashions, recipes, printables, DIY, etc. Basically – anything we can make!! Please don’t link up giveaways, things you’re trying to sell, or link parties! 2. It would be lovely if you add a button or text link to your blog or post. 3. It would also be lovely if you followed along here. Plus you’ll want to check back and see if you’ve been featured!! I’ve been linking at your parties for aw hile and love them! I”m your newest follower, come follow me back if you want! Ohh! That is a fab necklace! Thanks for hosting the party! Hey Bev! What’s going on? Thanks for hosting–happy almost Sunday!! Love the necklace! 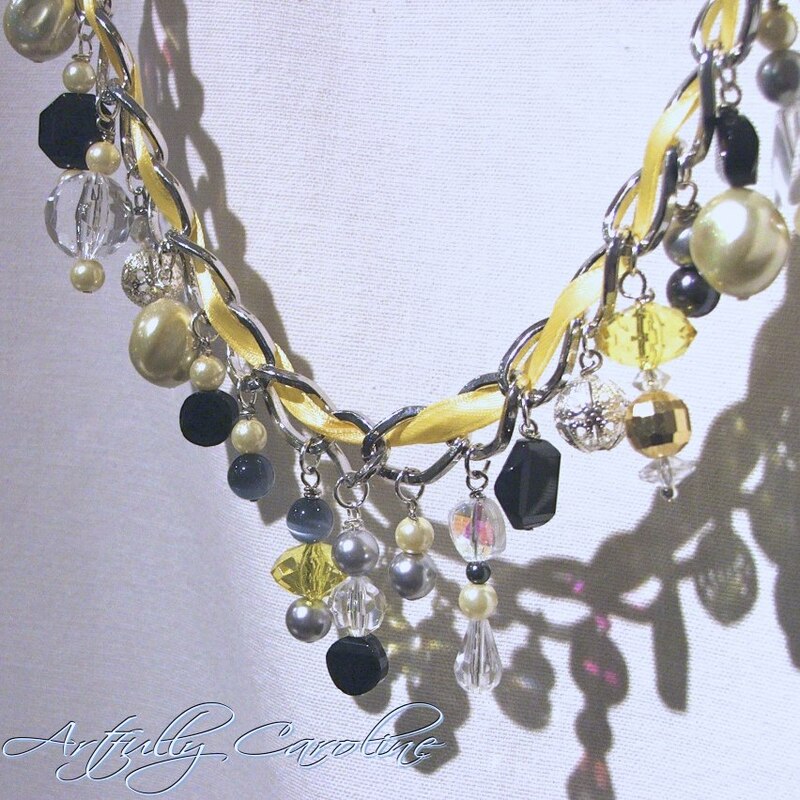 Yellow and Grey are one of my fave color combos! Thank you for host the party…. Thanks for another great link party, Bev! Have a great week!!! I linked my garlic shrimp. Thanks for hosting!